The hardest part of any weight loss journey is lowering your body fat percentage. It is not completely impossible to get a six pack, it is actually an achievable goal if you are willing to put in the work. What you need to realize is that you already have a six pack, it is just hiding under your belly fat. Do not let all the fad diets fool you, if you want to lose weight anywhere, you need to lower your overall body fat percentage. You can lose this weight, if you follow these simple steps to help you lower your overall body fat. It is very important to get enough sleep. When you are working out hard, you need your rest so that you can recover. Your body needs sleep because it will give your body time to repair the muscles that you have worked out and add more muscle to them. If you do not get enough sleep, your body is bound to give out, which will lead to adding on the extra pounds once again. That is something none of us want. Sometimes all you need is an idea of how to get started. This is a very effective workout to get your blood pumping, and your fat burning. Rest 1 minute, then do two to four sets more. You should keep track of how many reps you can get done within this time, and next time try to beat it. This sounds counterproductive, but eating more is actually beneficial to weight loss. Do not load up on bad fats, sugars, and carbs, like those found in let’s say, a brownie. You should load up on the good versions of these like those found in salmon, lean meats, vegetables, or fruits. Your food should be nutrient dense but low on calories. Try drinking a cup of water with every meal. Water is essential to life, so it only makes sense that it is also essential to weight loss. If your body is properly hydrated, it will have an easier time burning fat. Water can also help to keep you full as many times we confuse hunger with dehydration. Water also keeps our metabolisms up and running. If you are not hydrated, your metabolism will become slower which will lower your chances of burning the optimal amount of fat each workout. You can still eat out. When it comes to eating out, you just have to be careful with what you are ordering. You do not have to order the healthiest meal on the menu, but do make sure that you will get a good amount of proteins and vegetables. You should also keep in mind that you need to leave some food on the plate. Restaurant portions are very large, so make sure that you are keeping portion sizes in mind when you start eating. Especially on weight loss diets, most people think that their main goal should only be to lose weight. One of the easier ways to lose weight is to gain more muscle. The muscle will replace the fat in your body. Once you start gaining more muscles, your body will be less likely to hold onto fat and instead turn it into muscles when you are working out. Start drinking green tea. It is one of the ultimate fat burners. If you start to drink green tea, add a lemon to it. Lemons increase your insulin levels, which in turn, makes your body less likely to hold onto fat. The faster your workout is, the more likely your body is to shed fat. You should try interval training where you go as hard as possible for short amounts of time. If you are only doing medium intensity workouts it will increase your cortisol levels in your body. This will only lead to you storing more fat and building less muscle. By doing short and aggressive intervals you will notice that this is the most effective way to lose weight quickly. 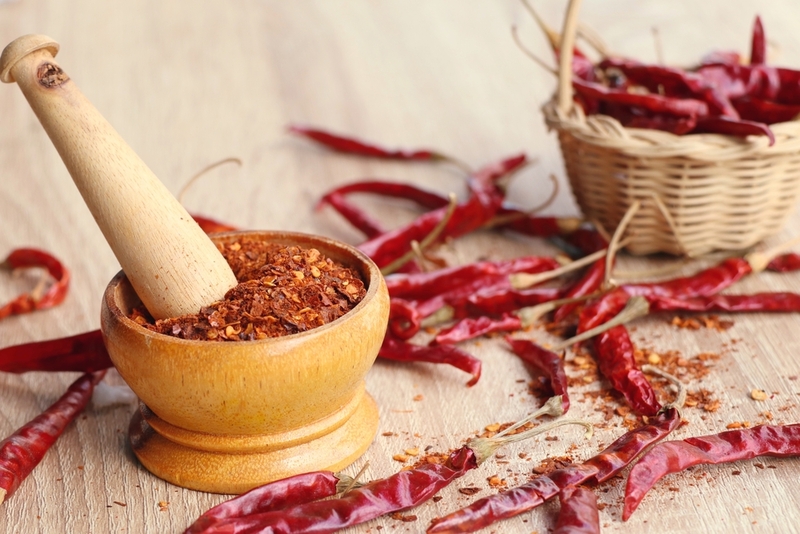 Capsaicin is what gives many spicy foods their heat. This will get your metabolism moving and help it to burn fat. Try adding spices like paprika or cayenne pepper to your meals to help give your meal a bit of a kick for your metabolism. Calcium deficiency can slow your metabolism. If you are getting enough calcium in your diet, your body is more likely to burn fat. You can make sure that you are getting enough calcium in your diet by adding different dairy based foods. For example, low fat yogurt, fat-free cheeses, and milk are all great ways to add calcium into your diet. You do not have to go out and sit in the sun to increase your vitamin D levels, although it wouldn’t hurt. Vitamin D helps to preserve muscle tissue and you can increase your vitamin D intake in many different ways. Many vegetable and fruits have small amounts of vitamin D in them, but if you want to get a large dose at once, try eating fatty fish. Fish like salmon are chock full of vitamin D, almost 90% of your recommended daily intake! You can find vitamin D in other foods like eggs, certain cereals, and milk. Fiber can help to get your metabolism going. Fiber moves food through your body quicker giving your body less time to store unnecessary fats. Fiber helps increase your fat burning abilities by 30%. You will gain less weight over time if you begin to add a healthy amount of fiber to your diet. You can do this easily by adding whole grains to your diet. Next ArticleDoes Blood Type Have Anything to do with Diet?